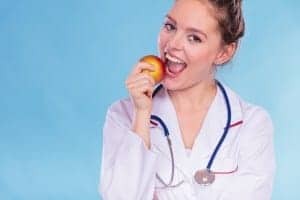 When searching for a proven, effective physicians weight loss system from a reputable weight control clinic, it’s important to review patients’ testimonials before beginning any weight management treatment. At Dr. Urshan Health and Weight Loss Center, we’ve helped hundreds of patients attain and manage their weight loss goals without the use of pharmaceutical pills, shots, crazy diets, hunger or cravings. If left untreated, being overweight can lead to these serious medical and health conditions. Fortunately, our weight loss technology addresses the underlying causes of weight gain and fat retention at the root of the issue, which is a hormonal imbalance and increased fat storage. After your initial consultation with Dr. Urshan, our team will be able to analyze your hormonal fingerprint to create an individualized physicians weight loss success plan. Your body will naturally want to metabolize your fat stores after your hormonal reset, making your system a fat-fueled torch rather than a storage system. No matter what your wellness goals may be, you can trust Dr. Urshan Health and Weight Loss Center to attain and manage your ideal healthy weight. We serve patients throughout the Tampa Bay area including St. Petersburg, Clearwater, Palm Harbor and neighboring areas. Contact us today to schedule your initial physicians weight loss consultation with Dr. Urshan and his team.